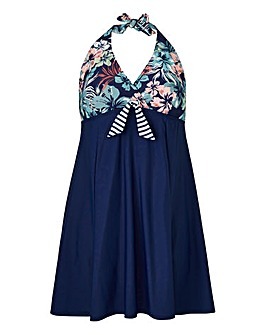 Make summer yours with a super stylish plus size swim dress from our ladies swimwear collection. Whether you’re relaxing by the pool or taking a dip in the deep blue sea, we’ll have a skirted swimsuit that’ll help you look and feel like the beach babe you are. Choose from halterneck swim dresses to strappy styles, as well as a range of prints.